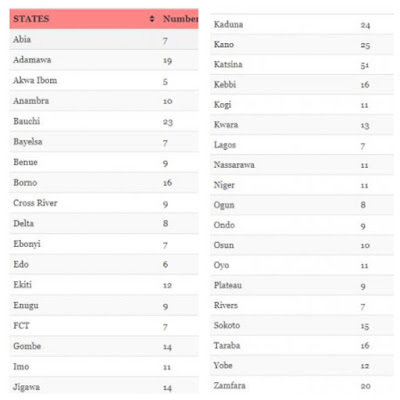 According to PREMIUM TIMES, the list of the 479 cadet officers commissioned after their passing-out parade in Lagos on March 5 revealed wide disparity in the numbers of slots allocated to the 36 states and the Federal Capital Territory, indicating that the federal character principle may have been ignored in the recruitment of the officers. Officially, recruitment for the Course was based on a minimum of five slots per state. The condition surrounding the recruitment and the manner of compilation of recruits indicates strong ethnic bias by Nigeria’s secret service, the State Security Service (SSS). When broken down on basis of geopolitical zones, 165 are from the North-west, 42 from the South-south, North-east 100, North-central 66, South-west 57 and South-east 44. 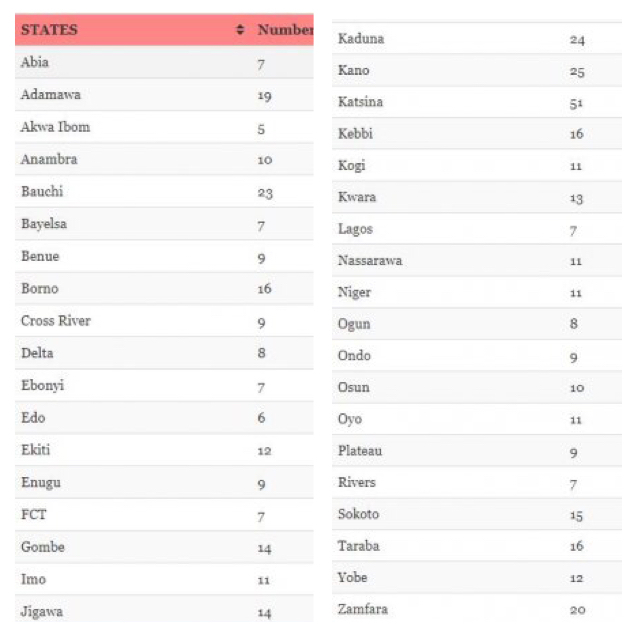 Katsina State, the home state of President Muhammadu Buhari and the Director-General of the SSS, Mr. Lawal Daura had 59 recruits, Akwa Ibom, Nigeria’s largest oil producing state had 5, Kano had 25 and Lagos just 7.